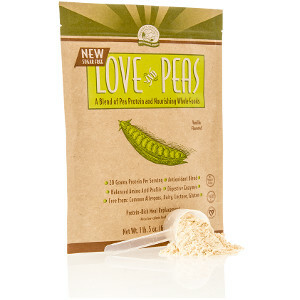 Love and Peas is Nature™s Sunshine™s popular blend of pea protein and nourishing whole foods. Now this tasty vegan meal replacement is available in a sugar-free formula featuring a natural sweetener system that includes luo han (monk fruit) and stevia. 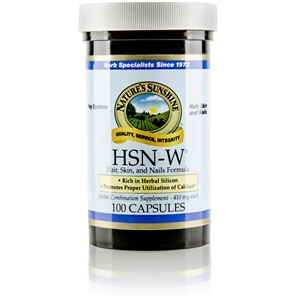 Provides 80% of the Daily Value of Riboflavin, Niacin, Vitamin B6, Folate, Vitamin B12, Biotin, Pantothenic Acid, Zinc, Copper, Manganese, Chromium and Molybdenum. 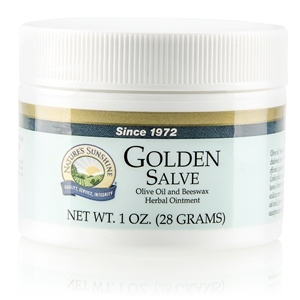 Provides 70% of the Daily Value of vitamins A, D, C, Thiamine, Iodine and Selenium. Contains pea protein isolate (from split yellow peas), rice protein (from brown rice), Black Bean, Adzuki Bean, Garbanzo Bean, natural flavors (vanilla), sunflower oil, soluble dietary vegetable fiber, erythritol, short chain fructooligosaccharides, medium chain triglycerides, sea salt, flax seed, potassium citrate, sodium citrate, pea fiber, stevia extract, xanthan gum, bamboo fiber, rice bran, rice germ, guar gum, plant enzyme blend, carrot, ascorbic acid, borage oil, cranberry, broccoli, grape seed extract, sodium selenate, biotin, blueberry, carrageenan, Luo Han (monk fruit) extract, pomegranate, grape skin extract, oat beta-glucans. 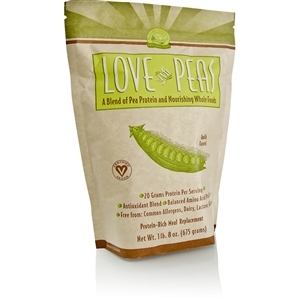 Mix two level scoops (40 g) of Love and Peas powder with approximately 9 ounces of cold water, or mix to taste. Best when mixed in NSP Power Shaker.